HCL Technologies was up for the sixth straight day, gaining 8 per cent, against 2 per cent decline in the S&P BSE Sensex. Shares of HCL Technologies were up 5 per cent to Rs 1,035 apiece on BSE in the intra-day trade after the company reported a better-than-expected net profit of Rs 2,611 crore for the quarter ended December 2018 (Q3FY19) over the September quarter. Revenue grew 5.6 per cent at Rs 15,699 crore sequentially. The company delivered a solid industry leading 5.6 per cent sequential growth in constant currency (CC) at stable 19.6 per cent EBIT (earnings before interest and tax) margin. The growth was driven by services across verticals and geographies led by mode-2 services that grew 13.1 per cent, Mode-3 6.2 per cent and Mode-1 3.9 per cent. For FY19, the company expected revenues to grow between 9.5 per cent and 11.5 per cent in CC terms. Operating or EBIT margin expected to grow in the range of 19.5 per cent to 20.5 per cent. 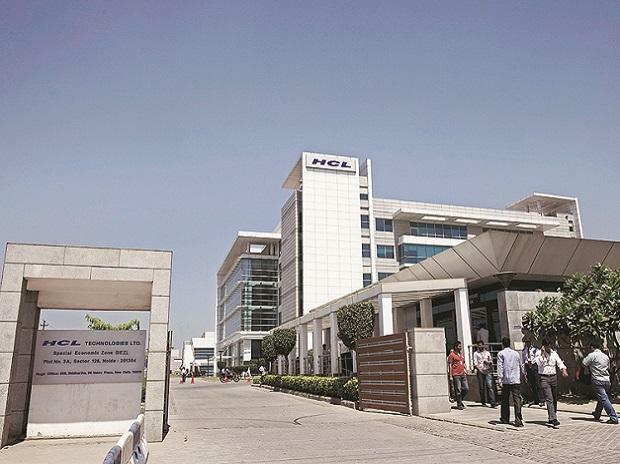 Analysts at Dolat Capital expect HCL Technologies to report margins in the midpoint of its guidance, due to continuing investment in Mode 2 and Mode 3 services. HCL Technologies is trading at fair valuations of 11.3x/9.9x, based on FY20/FY21 earnings estimates. We upgrade our earnings estimates by 1.8 per cent/3.3 per cent for FY20/FY21, factoring likely future margin improvement, it added. The brokerage firm maintains ‘buy’ rating on the stock with a revised target price of Rs 1,350 per share. “A series of positive inputs in the form of a around 125bps improvement in FY19 organic growth outlook, setting-up of new benchmarks for order bookings with every passing quarter, and an all-time high deal pipeline put to rest the Street’s fears relating to growth revival,” analysts at Emkay Global Financial Services said in result update maintaining ‘buy’ rating with a target price of Rs 1,265 per share. At 12:32 pm, HCL Technologies was trading 3 per cent higher at Rs 1,015 on the BSE, top gainer among information technology stocks. The stock was up for the sixth straight day, gained 8 per cent, against 2 per cent decline in the S&P BSE Sensex.